Thousands of community college students in Eastern North Carolina have missed classes, reduced their course loads or have stopped attending altogether since Hurricane Florence damaged homes, businesses and college campuses across the region more than six months ago. At Coastal, the hurricane disrupted 2,977 students’ studies. But that number might’ve been larger without state funding for $424,046 in emergency grants that helped 205 students stay enrolled at the college, said Phillips, who’s also the executive director of the college’s foundation board. “We were able to pay their rent, pay their mortgage, pay their utility. And that kind of frees them up for a brief moment in time,” Phillips said. Students at the college may apply for the emergency grants through June, Phillips said. At 19 community colleges, a total of 13,246 students signed up for fewer classes, withdrew from their programs or missed classes due to cancellations following the hurricane, the North Carolina Community College System’s spring enrollment data shows. 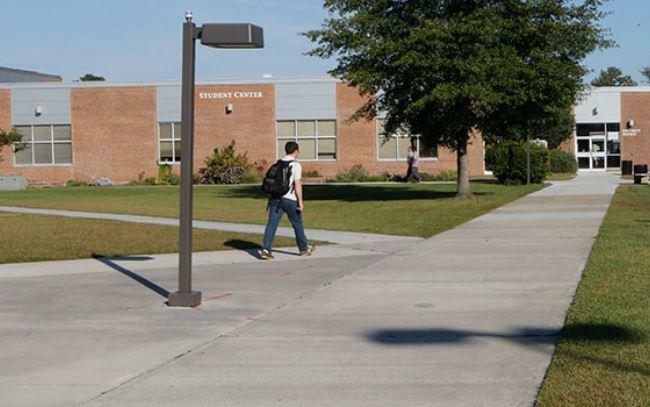 Because state lawmakers determine funding for community colleges based on enrollment, the declines could cost the schools almost $6.8 million altogether in the upcoming state budget. State community college leaders requested on Wednesday that state lawmakers approve a budget that compensates colleges’ projected funding losses due to Florence-related enrollment declines.